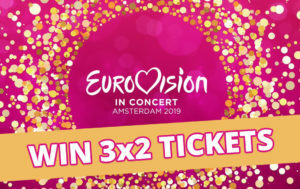 Competition: The winners of the 3×2 tickets for ‘Eurovision in Concert’ in Amsterdam on April 6! 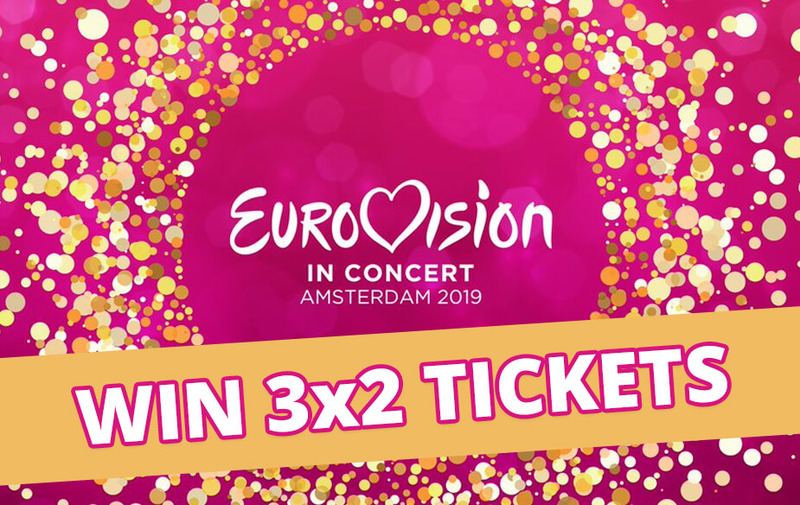 Last weekend, our competition to win 3×2 tickets for this year’s ‘Eurovision in Concert’ ended, so now it’s time to reveal the names of the three lucky winners. We received hundreds of e-mails, and the correct answer to our question is: 1970. The 15th edition of the Eurovision Song Contest took place on Saturday 21 March 1970 at Amsterdam’s RAI Congrescentrum. Surprisingly quite many people answered ‘1980’, presumably mixing it up with the year when Maggie MacNeal performed her ESC classic Amsterdam at Eurovision. And here are the names of the lucky winners: Christina Scot Madsen (Denmark), Sjoerd Streur (The Netherlands) and Leonardo Bressan (Italy), congratulations! Norway’s ‘Melodi Grand Prix’, the country’s national final for the Eurovision Song Contest, will be held on 2 March at the Oslo Spektrum and as in recent years, ten acts will be competing. One of them is the three-piece group KEiiNO, comprising of Alexandra Rotan, Fred Buljo and Tom Hugo. They came together in late summer last year to create „arctic pop-bangers mixing sami joik, nordic folk and camp pop in a synth-heavy sound“. Their entry for the Norwegian final is called Spirit in the Sky. On Saturday 6 April, the biggest Eurovision preview event ‘Eurovision in Concert’ will be held for the eleventh time in Amsterdam, the Netherlands. It’s a unique opportunity for you to see many of the participants of this year’s Eurovision Song Contest perform their entries live on stage. Several acts have confirmed already their presence, i.e. Miki (Spain), Bilal Hassani (France), Jonida Maliqi (Albania) and Eliot (Belgium), and you can expect many more! As one of this year’s special guests, the 1982 Eurovison Song Contest winner Nicole (Ein bißchen Frieden) has confirmed her participation. We’re giving away 3×2 tickets for this spectacular event. All you have to do is answer this question right: The city of Amsterdam hosted the Eurovision Song Contest once. Name us the year and send in your answer to competition@escradio.com along with your full name and postal address by Friday, 8 March, 23:59 CET. The names of the three lucky winners will be revealed here on our website. Good luck! The national selections for the 2019 Eurovision Song Contest are underway. 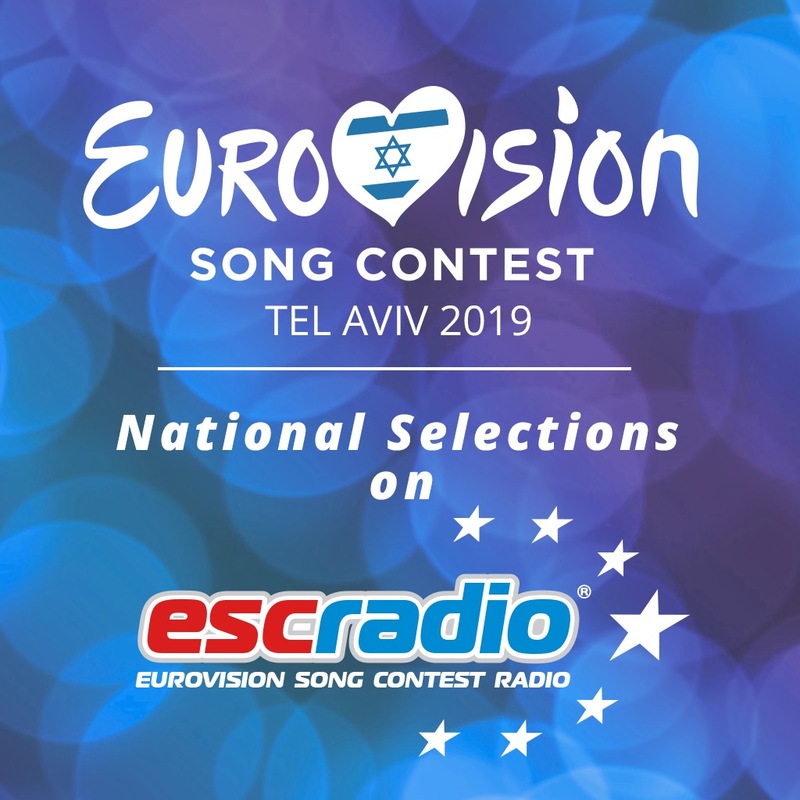 During these weeks, in many countries across Europe juries and televoters are called upon to find a song to represent their countries in Tel Aviv, Israel, in May. Albania held their Festivali i Këngës end of December. France, Hungary, Spain, the Baltic States Lithuania, Latvia and Estonia, and many others are following on the heels to find a strong contender for the 64th edition of the Contest. As usual at this time of year, ESC Radio puts a focus on the music from these national selections, playing also many songs that do not qualify for the Contest but still deserve another listen. Quite many of them get a lot of airplay in their home countries, some become chart hits. While the national selections continue, our playlist will be regularly updated. At the same time we will continue to offer you popular Eurovision songs and hits from recent years, ESC classics and remixes. 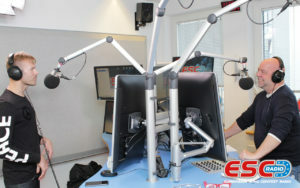 Tune in to escradio.com and enjoy the music of Eurovision! ESC Top 250 – Eurovision fans still ‘euphoric’ – Loreen defends top position for a seventh consecutive year! Sweden’s 2012 Eurovision winning song, Euphoria, performed by Loreen, has won the ‘ESC Top 250’ voting for a seventh year running. Last night, during the last minutes of the year, the countdown was complete, and Loreen finished on top once again, congratulations! This year’s Eurovision Song Contest runner-up, Eleni Foureira’s Fuego (Cyprus), stormed to No. 2, while Israel’s winning song Toy reached only No. 23 – the second time for the latest ESC winning song to finish outside the Top 10 or even Top 20 (in 2011, Ell/Nikki’s Running Scared entered the Top 250 at No. 44). The 2017 Eurovision winning song Amar Pelos Dois completes this year’s Top Three. Only two songs from before 2000 reached the Top 20: Norway’s 1995 entry Nocturne by Secret Garden at #10, and ABBA’s 1974 ESC classic Waterloo at #11. ESC Top 250 – countdown of the most popular Eurovision songs on New Year’s Eve 31 December, 11:00 CET! Earlier this month, Eurovision fans around the world voted their favourite songs from the 63 years of Eurovision Song Contest history. 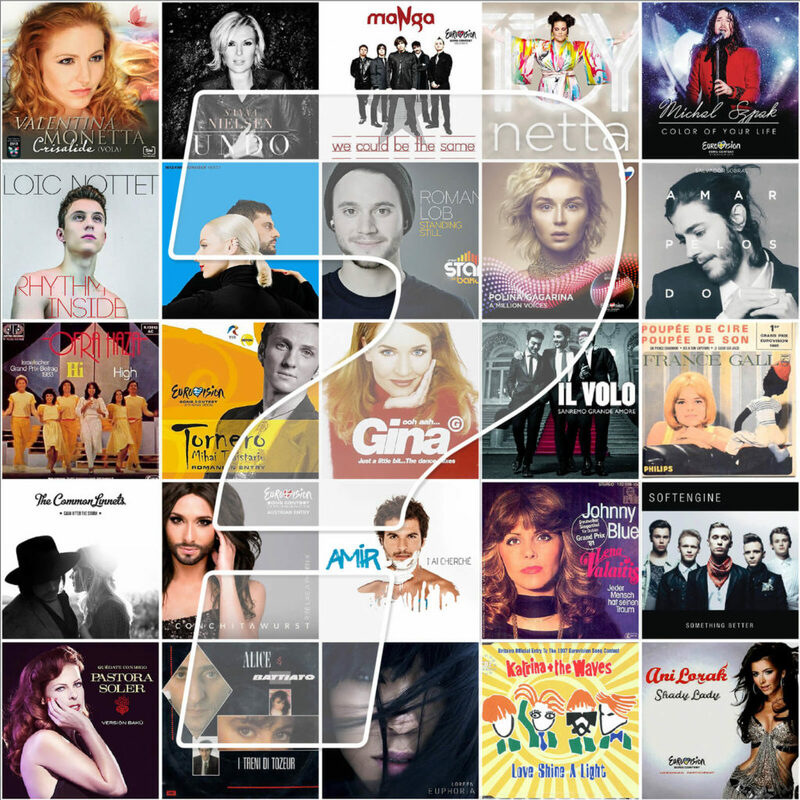 The ‘ESC Top 250‘ poll is a collaboration with Belgian website Songfestival.be. On New Year’s Eve, 31 December, ESC Radio will present you the countdown of the 250 songs that received the most votes. 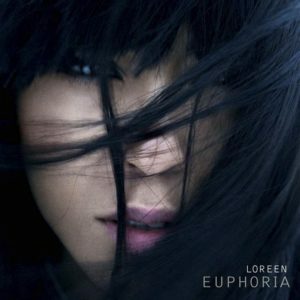 Will Sweden’s 2012 entry Euphoria by Loreen hold the number one position for a seventh year? How will this year’s winning song Toy from Israel come off? And will your personal top favourite rank highly? Tune in to ESC Radio on New Year’s Eve, 31 December, at 11:00 CET, and find out!